Atacama Expedition Tent, Sleeping Bay Foot Print. 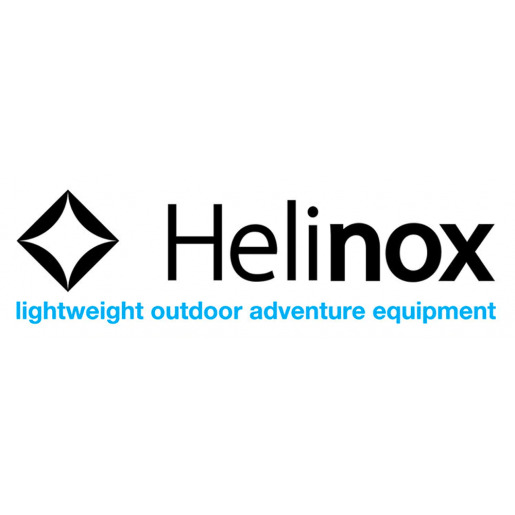 Hooks directly beneath the inner tent/sleeping bay to protect the floor from abrasion and damage in rough terrains. 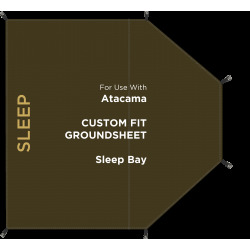 Tent can also be used without the inner tent and just the sleeping bay foot print. Weighs 6oz. Protect your investment. Well thought out integration and connection to the tent. Fits perfectly and the fastening system is much better than other tents I own...extremely easy on and off....not sure whether I will leave it attached when I pack up or not...next camping season will tell the tale....usually pack them separately because may be covered in mud and debris. 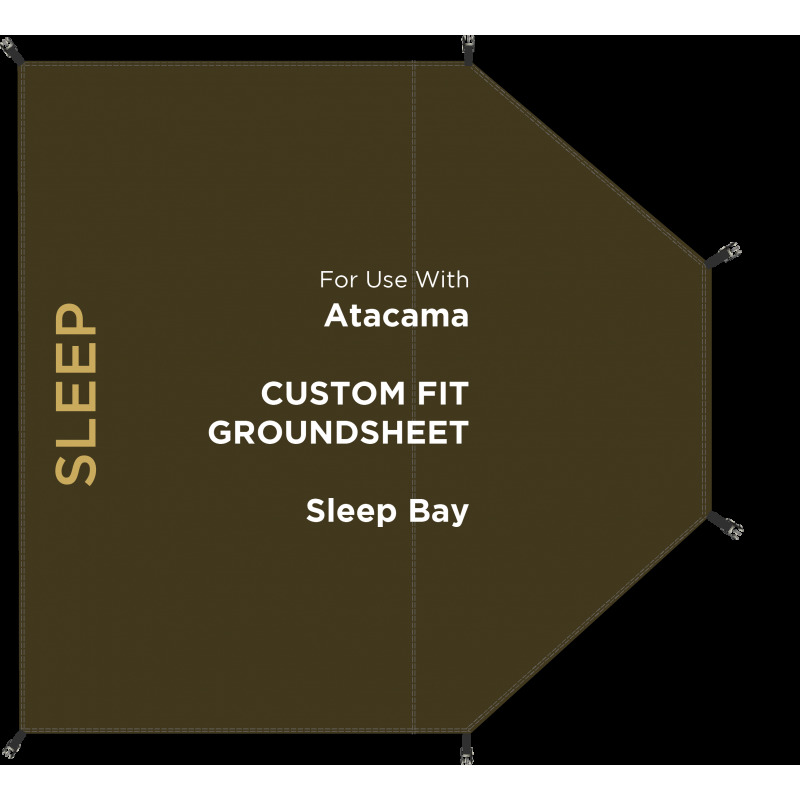 The groundsheet does not come with the tent as ordered. 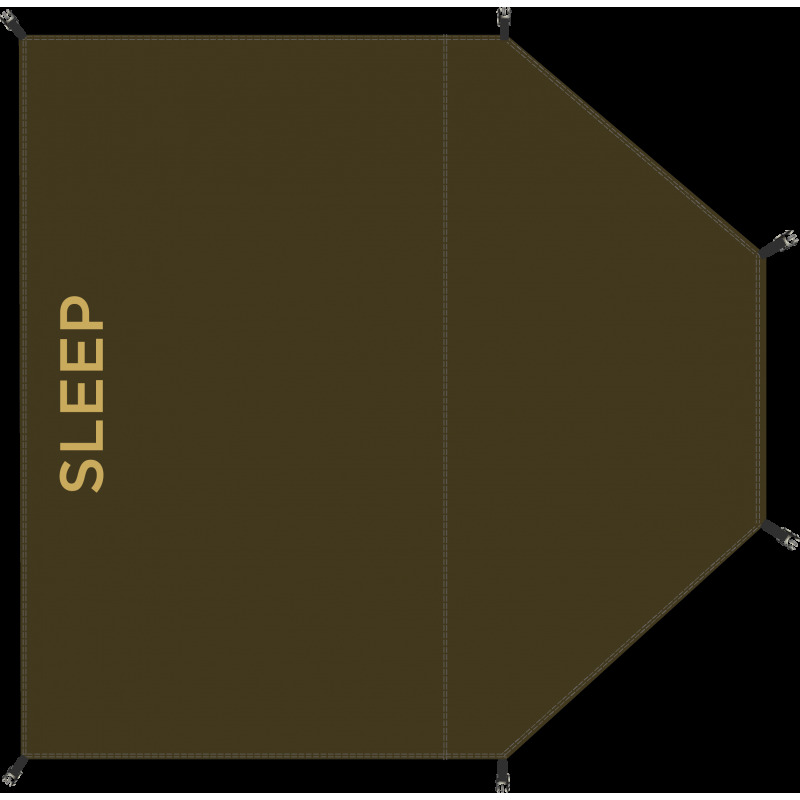 It's additional, but the first time we used it, it saved the base of our tent. We were in very rocky territory and we managed to get holes in the groundsheet. You might ask, why pay €50 for something a €10 sheet of plastic or a tarp may do the same. 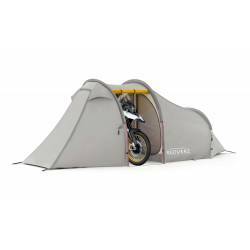 Just try putting either of those down in a gale and getting the tent on top of it! 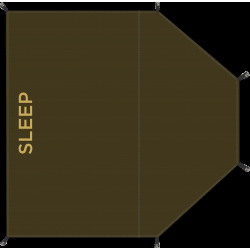 This groundsheet clips to the underside of the sleep area into clips presewn onto the tent. It all rolls up together so no problems in getting it in the right place. While your at it, but the garage ground sheet, it clips in too, nice to be able to take of your boots and not walk in damp or wet grasses of in dinoflagellates any kind.